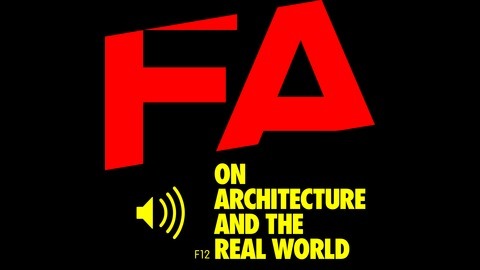 Failed Architecture is a podcast on architecture and the real world. By opening up new perspectives on the built environment, we seek to explore the meaning of architecture in contemporary society. FA challenges dominant spatial fashions and explores alternative realities, reaching far beyond the architectural community. We combine personal stories with research and reflection, always remaining committed to the idea that architecture is about social justice and climate justice, pop culture and subculture, representation and imagination, and everything that happens after the building’s been built. Contemporary urban discourse relies overwhelmingly on visual representation. While it may be more effective both in conveying the actual appearance of a particular urban space and in communicating the intentions of the architect and the planner, this kind of representation leaves little room for individual interpretation and cannot possibly capture the full range of feelings and emotions that people attach to particular places. For this, we must also turn to the more immediate sensations of touch, smell, taste and sound. This episode explores the last of these sensations, considering what it means to represent cities and architecture through sound. Unlike the visual, sound cannot be so easily contained, it flows freely, stimulating memories, helping to create a collective urban experience and bridging gaps across space and time. As such, recording and discussing the built environment through the medium of sound offers a vital means through which to challenge the dominant ways in which architecture and cities are represented. 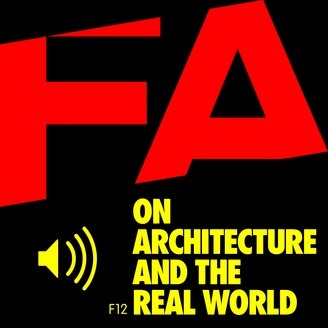 The main part of this episode comprises a conversation between hosts Mark, Rene and Charlie, unpacking the work involved in producing a podcast about architecture and discussing what it means to represent architecture through sound and how music, in particular, can convey certain urban moods. But in the breaks, we will also introduce a series of other sounds found on Aporee, an online map tool on which people can post geo-located sounds. You can call me Tsan-Cheng. In Taiwan maybe some people would call me a sound artist, in visual art. I have been producing this Taiwan Sound Map project for seven years. I will do this project for ten years, so it will end in 2021. The choice of my recording is very random. I record as many ambient sounds as possible. I just see the map and say ok today it’s here, I do not have any goals, any view, just walking in this place, and then maybe I want to turn right or turn left, just recording. If I’m in a park, I can hear the birds, bird song, most of the recorders, they just want the bird song, but I will record the birds and where, in this park, they have a big wall and they have noise, like the traffic noise, I record at the same time and I will keep the traffic sound because the noise is very important for this bird song. When I record many many parks in the city, I think we can find why the people like this park or why people do not like that park. So with this field recording, I think the data is a different kind of way to think about the city. In Taiwan we have many traditional markets. Most of the markets will be outdoors, and the vendors will be chatting and it’s very noisy, but in this space in Taiwan it’s very, very exciting, you can go around, you can choose, you can chat, it’s very very interesting, but the new markets in the city maybe it’s just a big building, the market will be boring, yeah so, when I record the market, the new market or the old market, I want people to think about which market you want to go to. This episode was directed by Charlie Clemoes / the Failed Architecture team.